My books finally arrived today! You’ll have to excuse me while I do my happy dance. 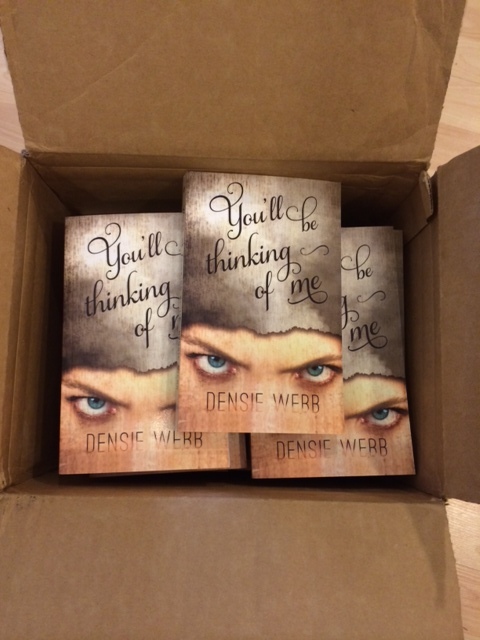 if you’d like a copy, why not enter the Goodreads Giveway? Don’t want to wait? Mozy on over to Amazon where you can choose from an ebook, a paperback or an audiobook! « Bookmarks for “You’ll Be Thinking of Me”!